Are you losing local traffic, leads and customers from citation errors and weak ineffective listings across a local network used by 250 million customers daily? Scan your business for free. This scan is for your information only. You will have the option to save your scan as a PDF document. Need Help Fixing Citation Errors and Adding Powerful Local Listings? We can show you how we CORRECT CITATION ERRORS and REVERSE GOOGLE PENALTIES from having inconsistent information. Then we help you to achieve a POWERFUL PRESENCE across 80+ apps, maps, search engines, directories, and social networks used daily by more than 250 MILLION local customers – lots more people who could be finding you. We can even show you how to use this service to manage and strengthen your online reputation. Why is it important to correct citation errors? Inconsistent and erroneous citations in local directories will produce penalties in Google and compromise your Google search rankings. Google is very particular about accuracy. Your company name, address and phone number must be exactly the same wherever you are listed online. You may have moved your location and are unaware of citations that exist. Your information may be correct but abbreviations automated in directory software may be interpreted as errors. How do you correct citation errors? 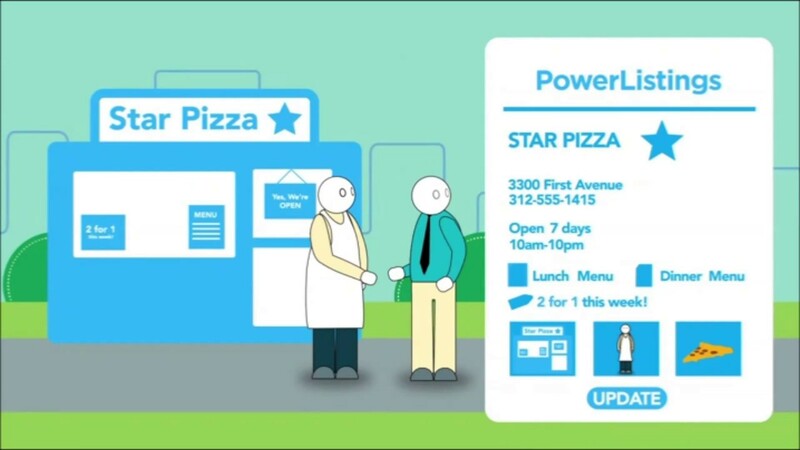 Yext PowerListings service is automatically configured to work with over 50 local business directories, search engines and apps used daily by more than 250 million people. When we set up your account, we identify, remove and/or replace listings within the Yext network. By making a single correction through the software, each of these sites and apps are updated with accurate, consistent and enhanced information. This removes Google penalties from inconsistent and inaccurate listings and generates more clicks to your website. Ultimately it will also help improve your organic SERP results. Why shouldn't I do manual free listings? Local directories, mobile apps and social media sites provide a tremendous opportunity to find new leads and customers. Over 250 millions users are searching daily on these sites. Manual listings are basic and only include name, address and phone number in a single category. Listings that include only basic contact information cannot compete with enhanced listings that include images, descriptions, links, video, reviews and more in multiple categories. When a prospect searches and finds your basic listing, they are likely to move on to your competitor with an enhanced listing. Using the Yext platform for local directory listings is very powerful and effective but only when it is set up properly and managed. It is important to select all relevant categories. Monthly changes in the content are needed monthly in order to help with search engine rankings. Hours of extensive training and exams are required by Yext in order to become a certified partner. Without the proper training, the value of their system is limited and not likely to be worth the investment. Just like anywhere else on the web, the content that is included in Yext enhanced listings must be engaging and powerful if it is to produce the results you are expecting. And without the expertise of a certified professional, you may actually pay more to Yext when you do these listings on your own. Why do I need enhanced directory listings? Enhanced listings replace the basic NAP in over 50 local directories, search engines and social networks where your customers search for local products and services. Enhanced listings in multiple relevant categories include a bio, services, and menu and products when appropriate. These enhanced listings automatically display online within Yext network sites wherever they are supported. Detailed information for each important item of content can include a title, text description, images, a video and a custom link to a specific landing page. a featured product, service or event can be included with a custom link to a landing page that gives the visitor access to that information. Notifications about reviews also come up in social media sites within the Yext network. What is involved in the set up? Set up is recommended by a certified professional marketing company for a reason. Just like any marketing and advertising, if you are not an expect in that field than probably you shouldn’t be doing it yourself. Set up includes accurately completing all fields of information in the account which can be applied to multiple locations when appropriate. The process of identifying and claiming citations requires some careful attention to avoid duplicate listings which can also be a source of penalties in Google. Linking social media profiles and adding cover artwork is also part of the setup. As in any marketing and advertising content, preparation and formatting the content for the enhanced listing is critical for creating an engaging and high converting experience for visitors. What reports and notifications will I receive? You can expect monthly reports about profile views and clicks. You will also receive notifications when reviews have been submitted to your social media sites that are included in your account within the Yext network. There is an annual cost per location. We also charge an initial set up fee that is based on the amount of content we have to prepare, format and enter. We waive that set up when Yext is ordered along with a new website or redevelopment project. There is a small monthly management fee for updating your listing content information. Ongoing changes are needed to help your search engine rankings. We provide you with all costs in a detailed proposal upon request.